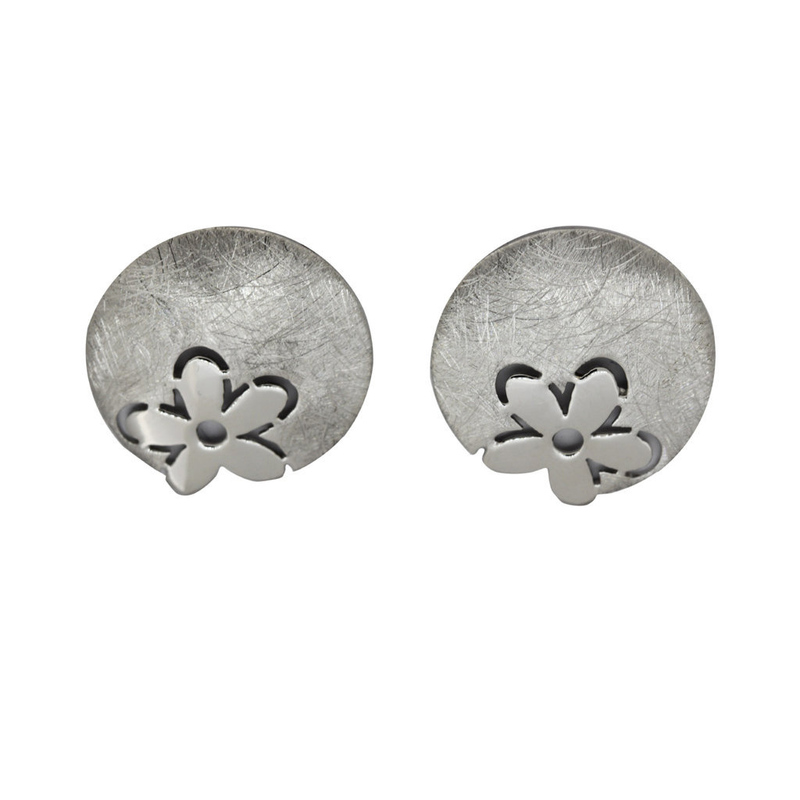 Earrings in sterling silver, rhodium-plated on 925 thousandths. Original design with flower in completion in gloss and Matt grated. Closing pressure. 26 mm in diameter. We deliver in case of quality of the firm Stradda.